Home > Testimonials > Best DWI Lawyer of the Century! Let me just start by saying Mr. Lederman is incredible. Here I found myself facing a DWI for the second time and this man came through and saved my life. Had I been convicted of this second DWI offense I would’ve had to deal with losing a lot. My Job for one which is very important to anyone who works. Mr. Lederman assured me that everything would be ok and it was! He got my second offense lowered to a reckless driving ticket with a small fine and most IMPORTANTLY Mr. Lederman kept my license from being suspended Again kept my license from being suspended. He is highly recommended to hire if you wish to seek good results. He is an expert at helping his clients deal with DUI and DWI case. It’s all because of Mr. Lederman that I’m able to be stress-free and keep my job and I can’t thank this man enough. Thank GOD for Mr. Lederman. You should hire him if you ever in a situation like I was in or even worse. He will be 100% honest with you every step of the way and make sure you face the minimum consequences if any at all. 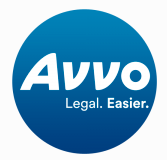 read more reviews on Peter Lederman’s AVVO profile. Posted in Testimonials and tagged best dwi lawyer, Peter Lederman, testimonial.